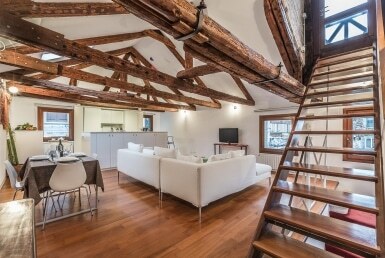 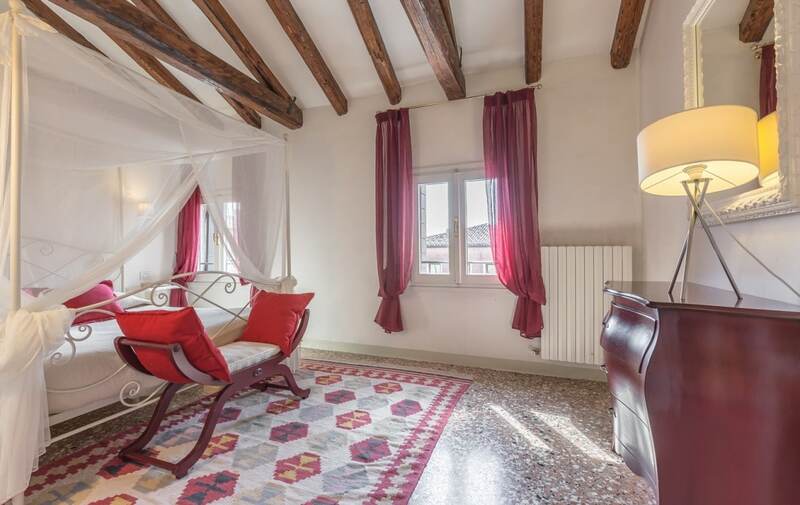 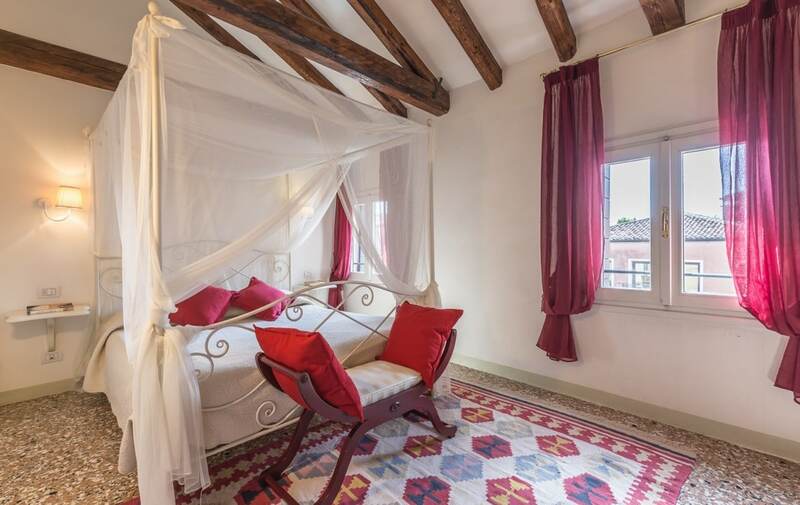 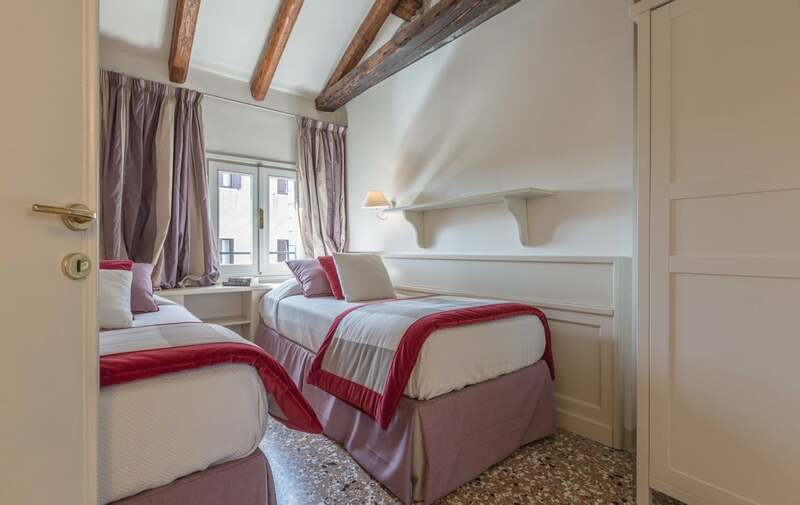 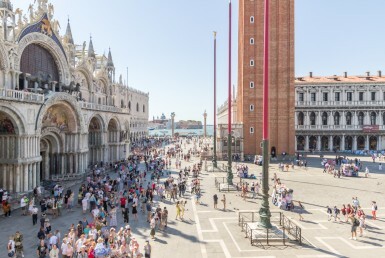 In the lovely area of Dorsoduro, very near to the Zattere, a charming apartment on the second and last floor of a typical Venetian building. 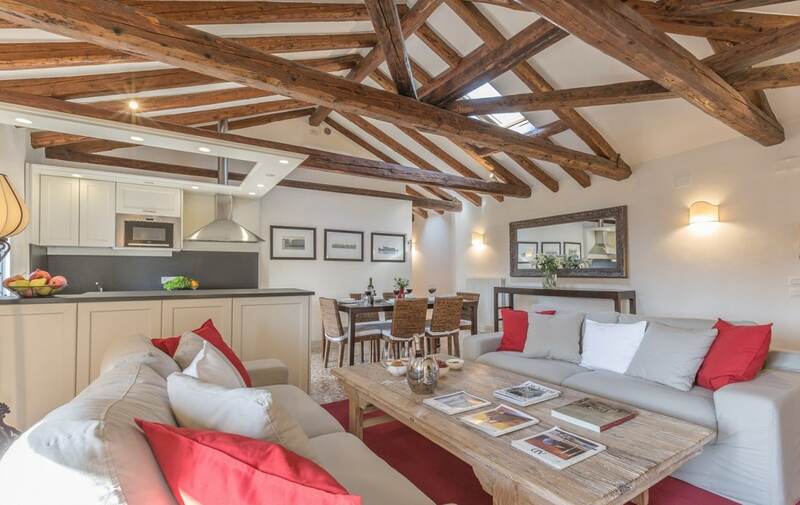 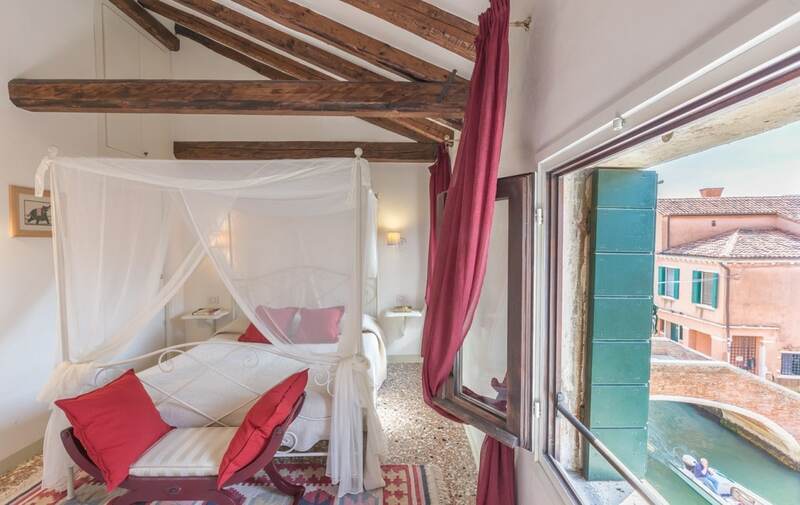 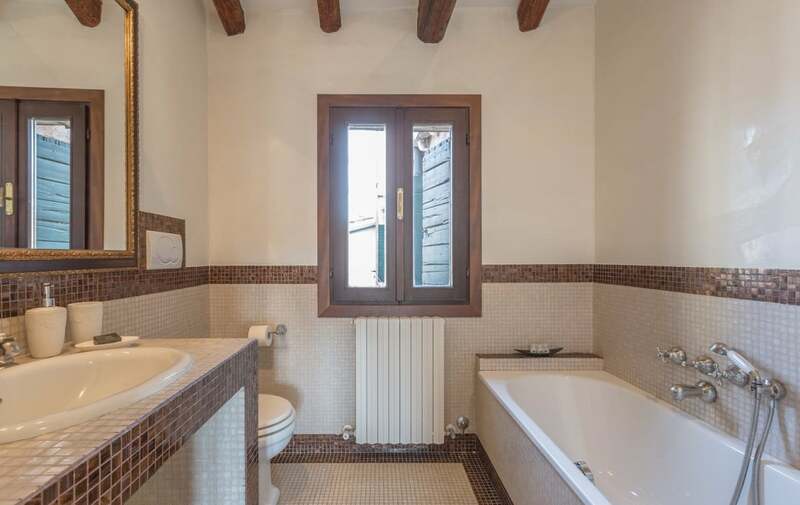 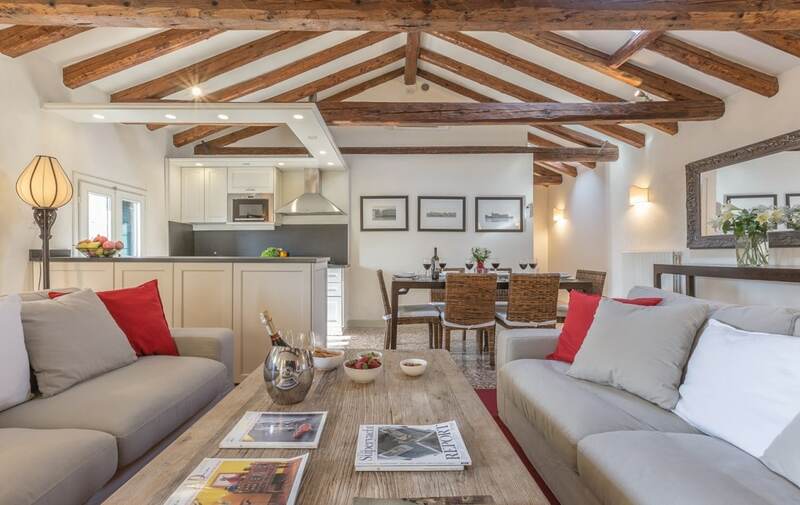 The apartment overlooks the canal of San Sebastiano, and enjoys lovely views from the living room and the bedrooms. 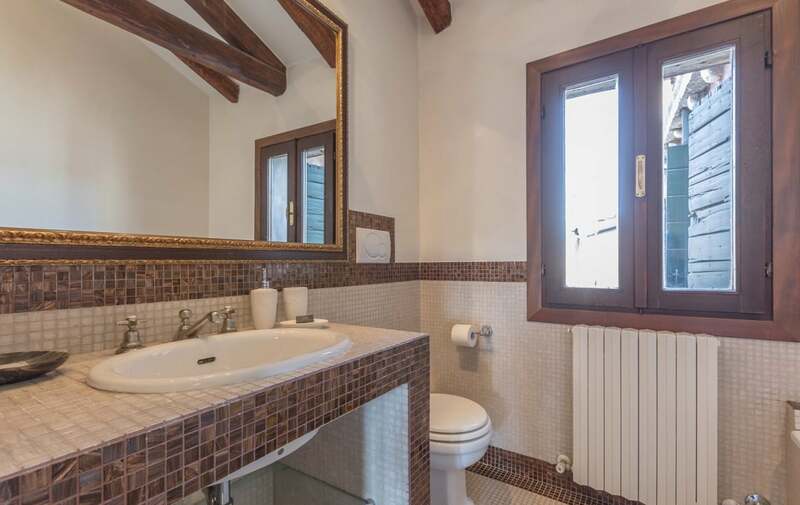 The apartment is composed of a large, bright living area with beamed ceiling and an open-plan, well-equipped kitchen, a master bedroom and a second twin bedroom, two bathrooms with colored glass mosaics, one with bathtub and one with shower. 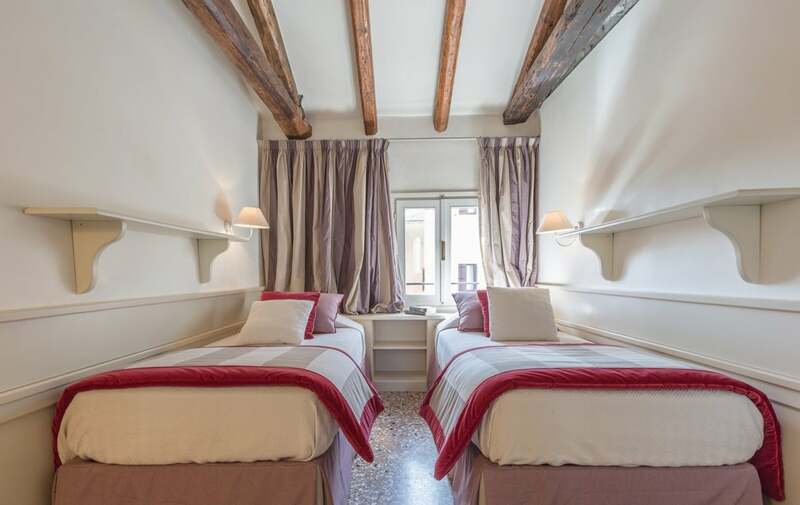 The apartment is smartly furnished and restored with great taste and high quality materials. 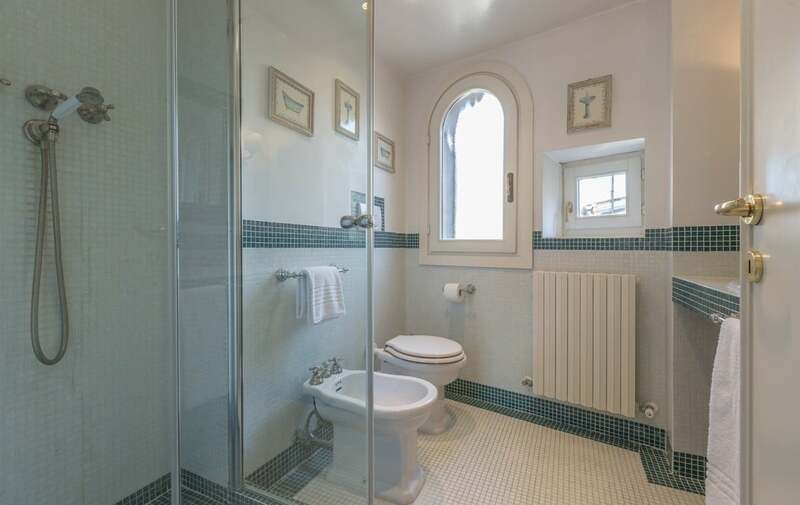 The property is sold furnished and fully equipped. 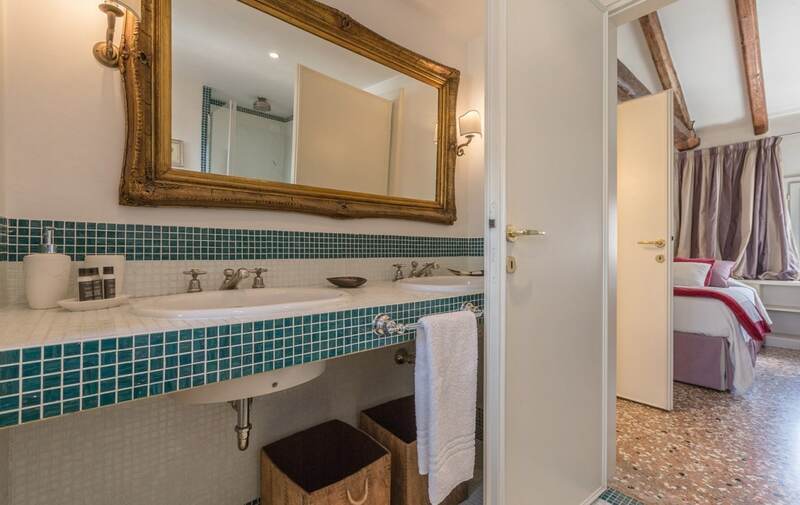 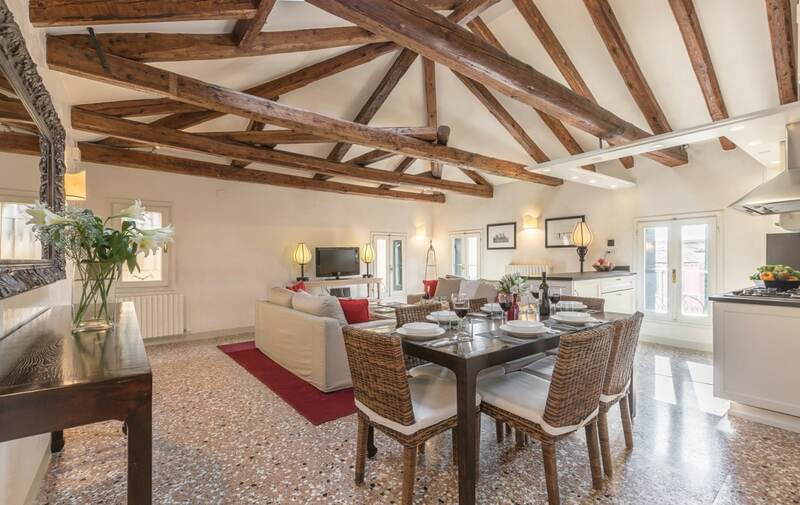 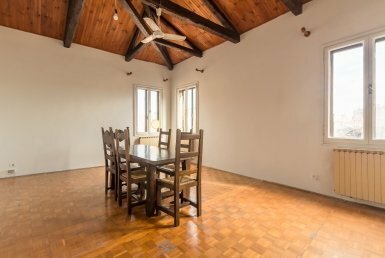 It is currently being used for short term rentals and has a proven rental income, making this property suitable both for lifestyle and investment purposes.